Super sewing skills class 12! 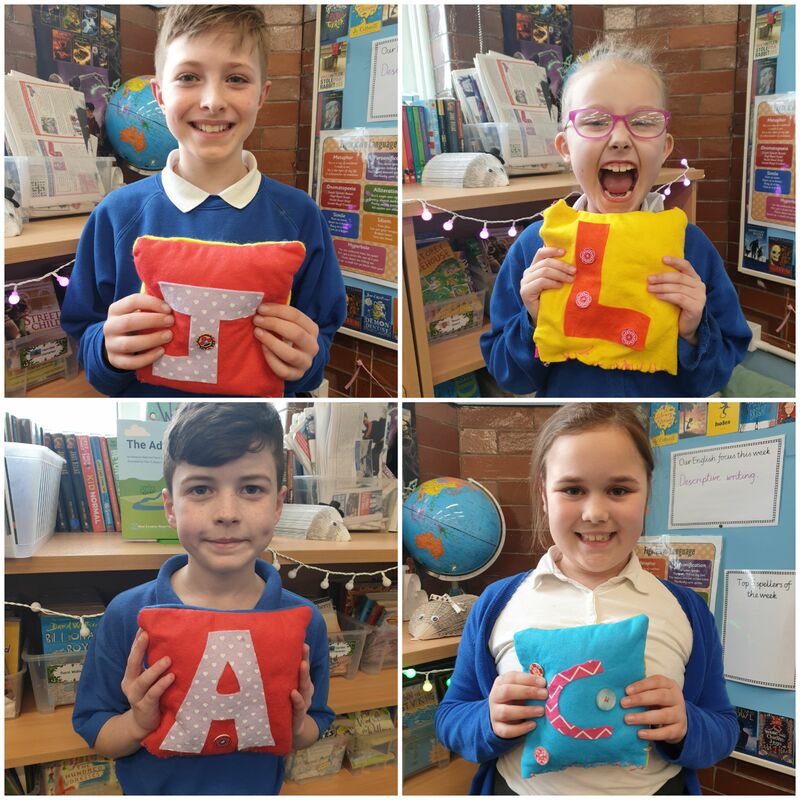 The children have loved making these cushions and their end products are amazing! Well done everyone! Fabulous Fairtrade artwork by class 12! 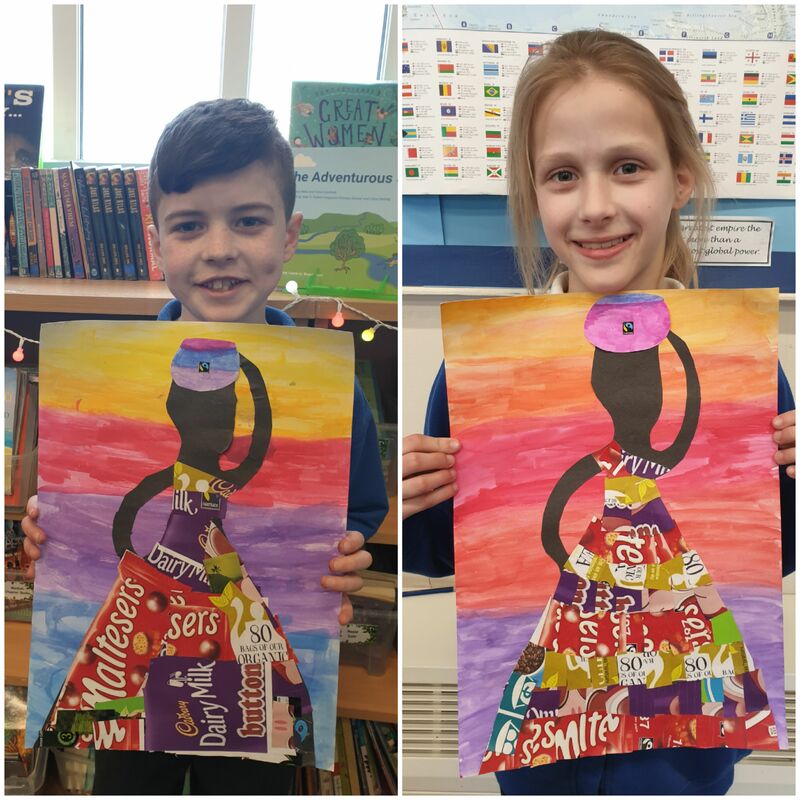 We re-used fairtrade packaging to create these wonderful pieces of art. 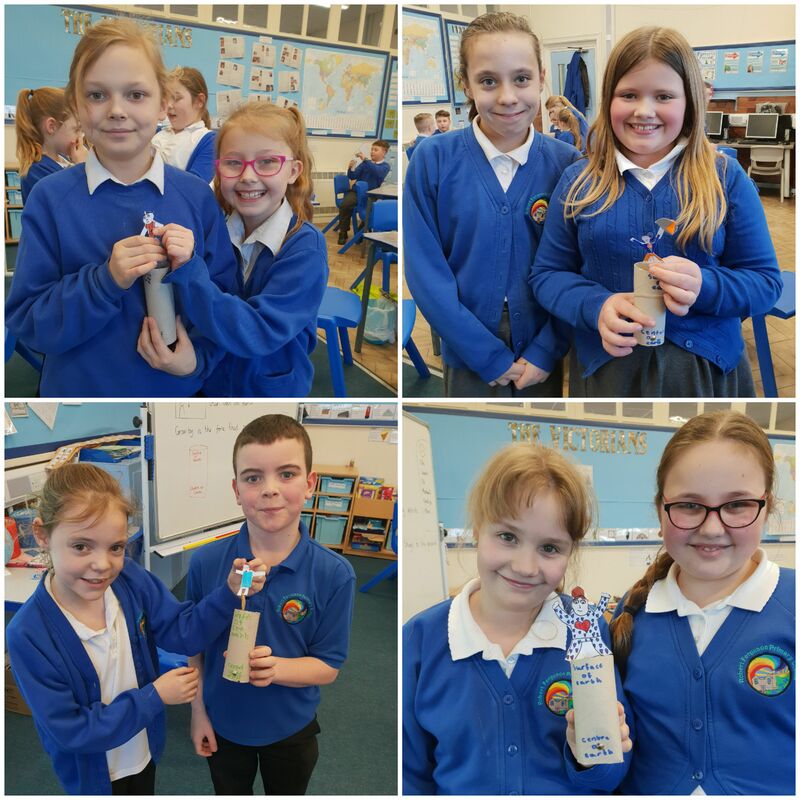 What a fantastic start to Fairtrade Fortnight! 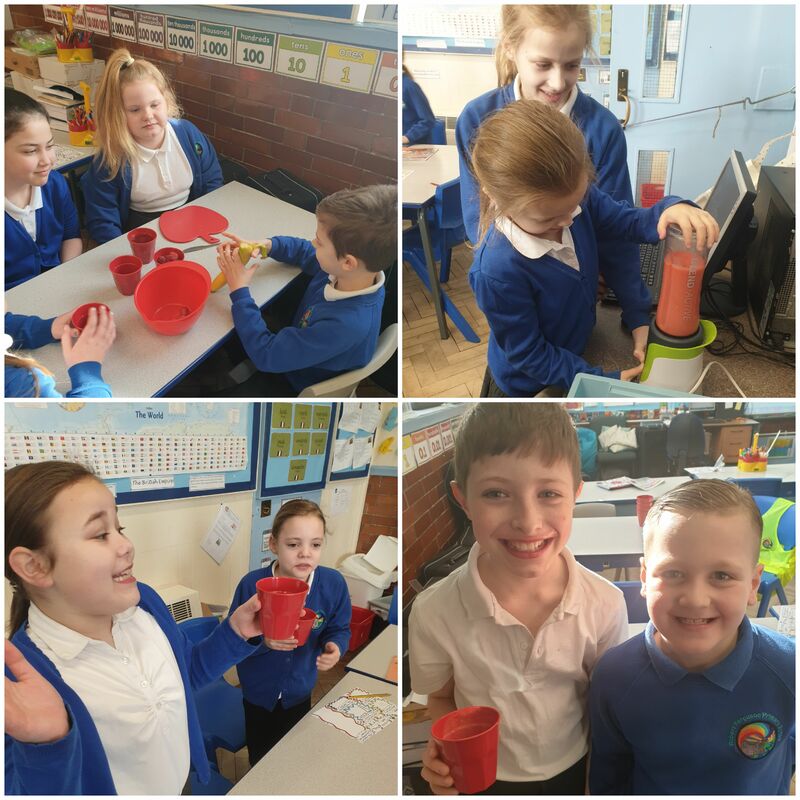 Class 12 enjoyed using fairtrade bananas to make some delicious smoothies to start their day! 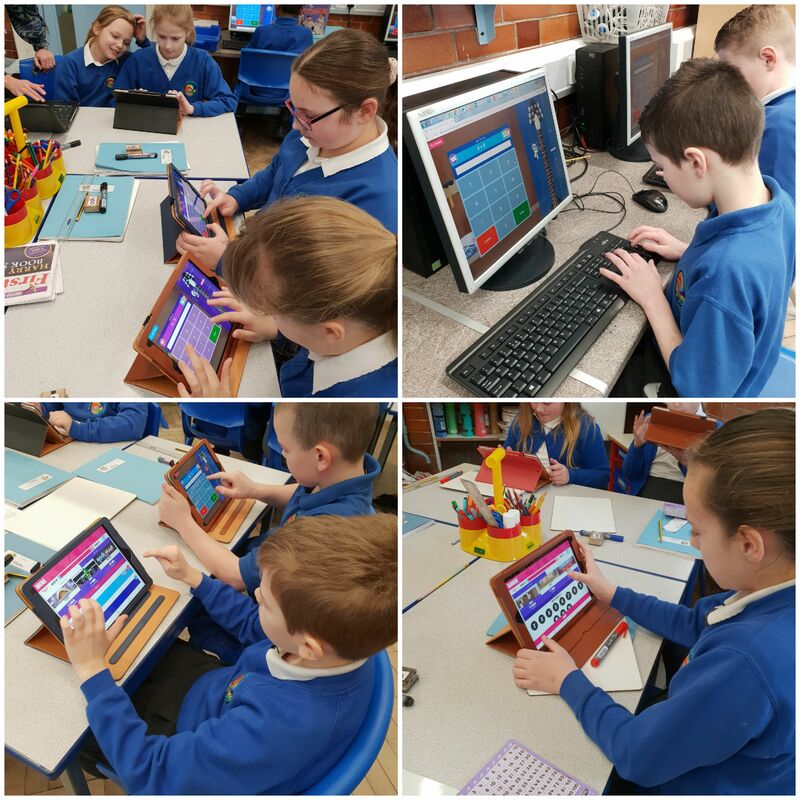 Class 12 love Times Table Rockstars. Their rapid recall of their multiplication facts has massively improved and it is great fun! This week in science we have been investigating gravity, the force of attraction that exists between any two masses, any two bodies and any two particles. We made gravity models so we could observe the affect of the force! Great scientific work class 12! 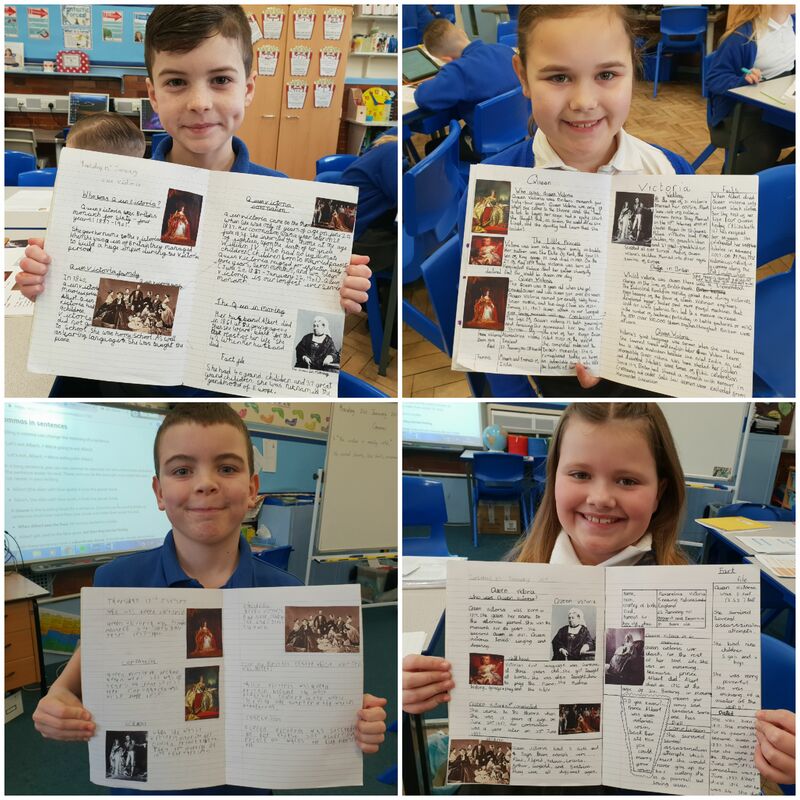 Brilliant biographies about the life of Queen Victoria! Great writing Class 12! 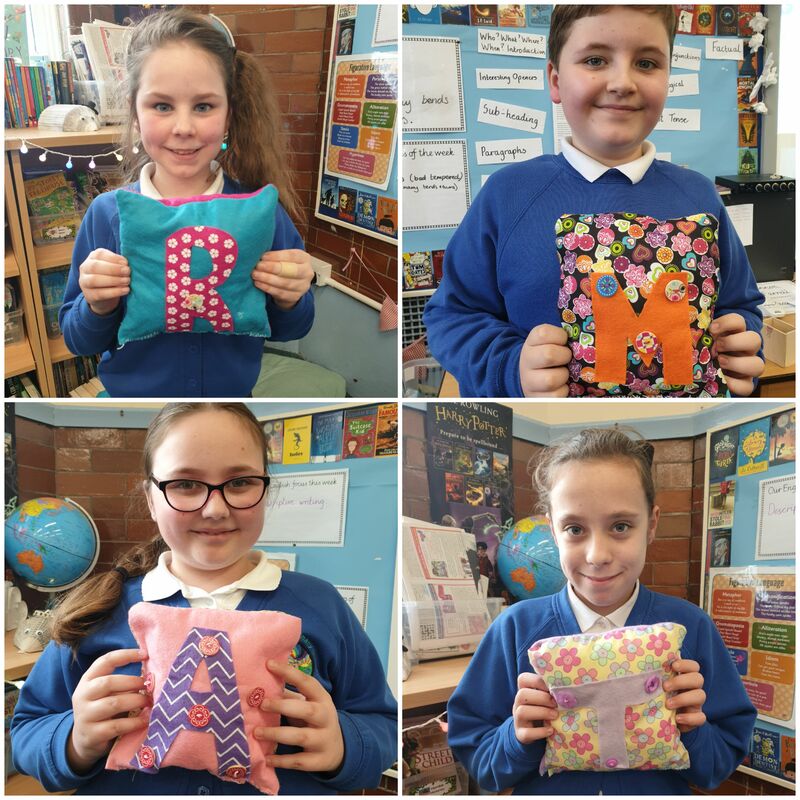 Class 12 have been developing their sewing skills this week. 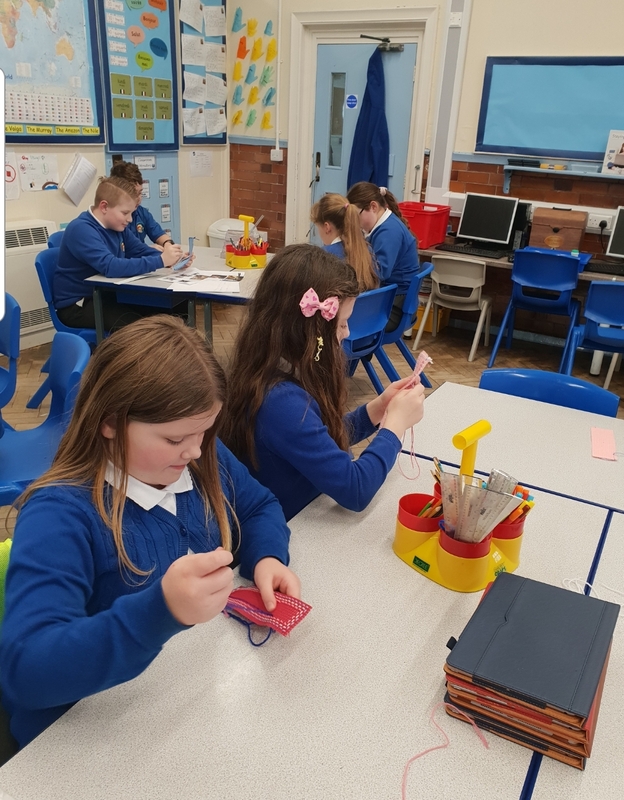 They have made bookmarks using different types of stitches and are looking forward to designing and making a cushion. 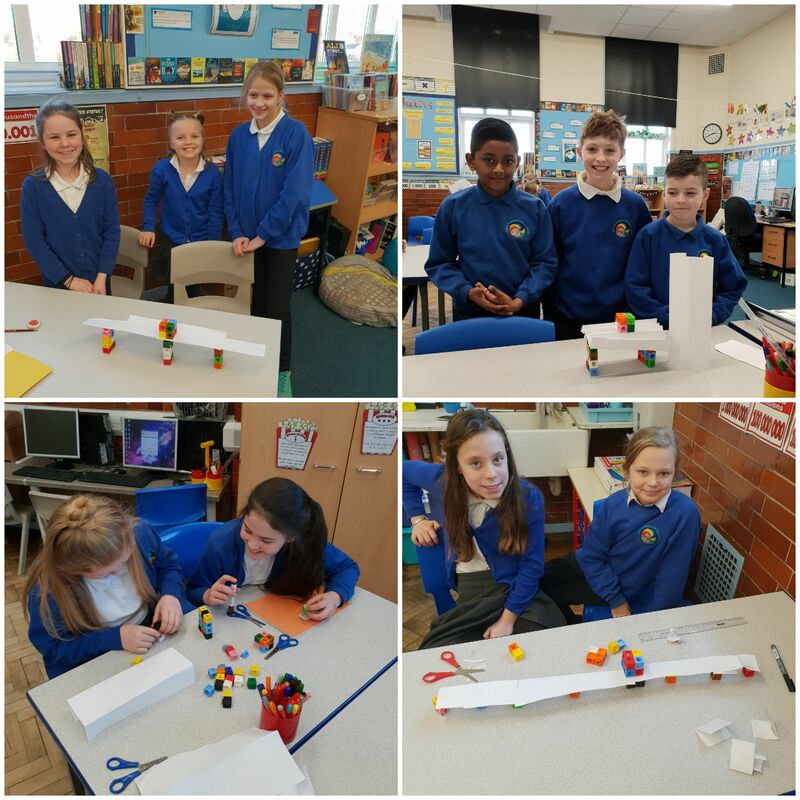 Class 12 used their engineering and teamwork skills to build bridges out of paper. Good STEM work everyone! 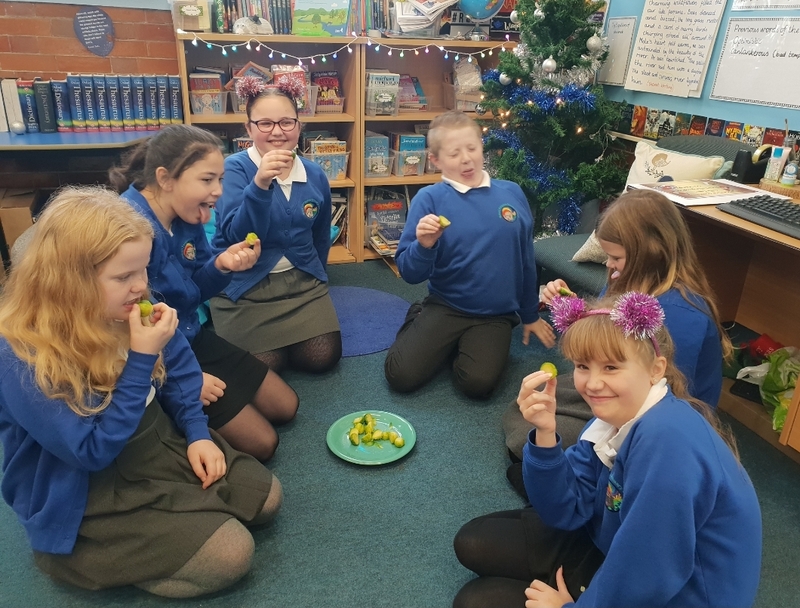 Year 5 have been writing adverts to persuade people to buy brussel sprouts. Here they are tasting some! Music - Brass instruments & Songwriting. Welcome to our Class 12 page! This term we will be learning about the Victorians, we will follow the children's lines of enquiry and learn about many aspects of the topic. See the weblinks below to find out more! Our Science topic is Forces. * The effects of air resistance, water resistance and friction, that act between moving surfaces. * Mechanisms, including levers, pulleys and gears, allowing a smaller force to have a greater effect. The children will be taking measurements, using a range of scientific equipment and recording their results. This term we are continuing to use the homework grids. Homework has been split into two sections. The first section contains activities to be completed each week (reading, spelling and number facts). The second section offers a wide range of activities for your child to choose from. Please see the grid below for more information. If you need any further information, resources or support with homework, please speak to your class teacher.